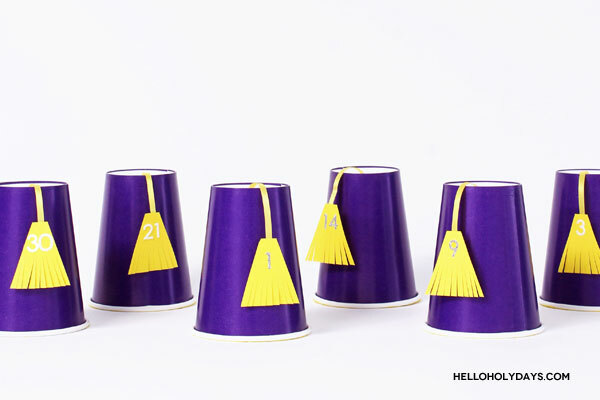 Ramadan Drummer’s Hat Countdown Calendar – Hello Holy Days! Do you know who the Ramadan drummer is? He’s a jolly old fella who pays a visit to your home at night playing music and singing songs as a way to wake you up and eat your pre-fasting meal. Although based off a real tradition, the Ramadan drummer is a fictional invention of mine particularly suited for toddlers and small children who love Santa, leprechauns and other American holiday characters. In my fictional version the Ramadan drummer has a specific costume and every night of Ramadan, the Ramadan drummer leaves children a message for a good deed to do in the day. To learn more about him, please see my Instagram stories to hear me talk more about him. 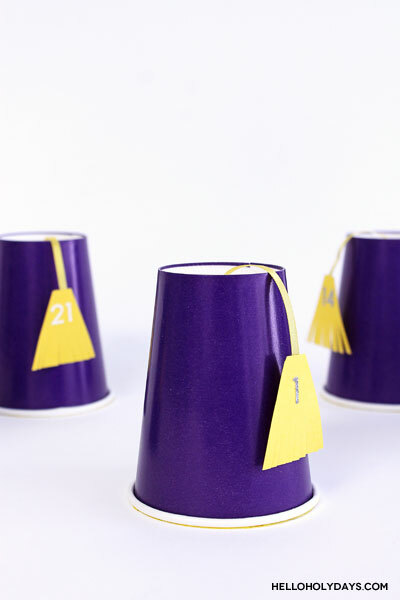 If you’re on a shoestring budget and would like to make Ramadan/ Eid more festive for your kids, make a countdown calendar with the Ramadan drummer’s hat! Apart from the fact that this calendar can be made in under $10 with items from the dollar store, what’s great about this calendar is that each day opens like a mini pinata! Pull the tassel on the Ramadan drummer’s hat and out comes confetti and a good deed to do for the day! You can write your own good deeds or you can check out this free printable by my friend Hira of Zair Zabr Play. *Please note the fictional Ramadan drummer is the intellectual property of Manal Aman and is meant to be used for personal use only. Commercial use is prohibited without license. This craft is also meant to be for personal use only, it should not be made or adapted for commercial purposes. Use scissors to pierce a slit at the top of each paper cup. Feed the ribbon through the slit in the paper cup. Leave 2.5″ – 3″ extra ribbon on the outside of the cup and cut the ribbon. 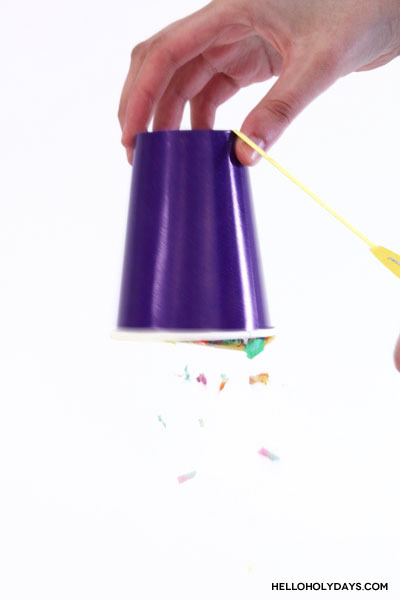 Flip the cup over and fill it with confetti and a good deed to do for the day. Cut out squares of tissue paper slightly larger than the mouth of the cup. Tape one of the tissue paper squares to the ribbon that was fed through the cup. Use a glue stick to secure the tissue paper to the cup. Let the glue dry. Meanwhile, cut out a tassel shape from the yellow card stock paper. Fringe the ends of the shape to resemble more like a tassel. Use stickers to mark each of the tassels according to the number of days in Ramadan. Tape the tassel to the ribbon on the outside of the cup. 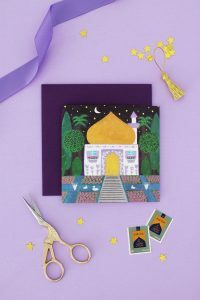 Make 29 – 30 hats in total for each day of Ramadan. On each day, pull the tassel to see the confetti and the good deed pop like a pinata!